Several years ago we started our award-winning “Grassroots Healthy Lawn Program,” designed to increase both the demand for organic lawn services and the supply of trained professionals who can deliver those services. Over the past few years, hundreds of landscapers and turf managers in New York, Connecticut and Massachusetts have gone through our two-day intensive course. 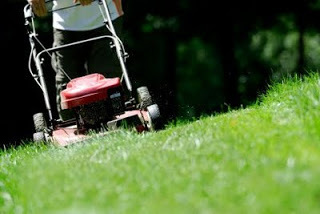 So naturally, we’re delighted that the demand for organic lawn care has skyrocketed as the public has become increasingly aware of the dangers posed by typical lawn chemicals, especially for children, pets and pregnant women. But there’s also bad news: some of the landscapers offering organic lawn care services don’t really “get it.” Worse, some of them don’t even believe it! Organic lawn care is based on the principle that if we create the best possible environment for grass to grow, nature’s own systems will take care of most of the problems that plague chemically-maintained lawns. What’s the best defense against weeds? A thick, healthy lawn. How do you discourage crabgrass? Adjust your soil pH to 6.8. Got a yard full of broadleaf plantain? You need to aerate your soil. So if you’re a landscaper who has spent his entire career believing that lawn care is a battle between you and pests, and that your primary job is to kill them, then you’ll probably never succeed in organic lawn care. Unfortunately, most university turf and agricultural research programs are heavily funded by chemical companies whose products are primarily designed to kill pests. If you’re looking for an organic landscaper, find one who has been through the Grassroots Healthy Lawn program, the Northeast Organic Farming Association (NOFA) 5-day Course, or the course offered by the Nature Lyceum. At least you can be sure they’ve studied with people who get it.